We’re currently undergoing a regulated mod boom right now, and the chipset’s that are powered these devices are beginning to rack up quickly. Often times finding information on these chips can be a hassle, and even knowing what’s actually out there can go unseen easily. With this chip specifications list, you’ll be able to easily find the chip you’re looking for and be provided with the key specifications that chip contains. 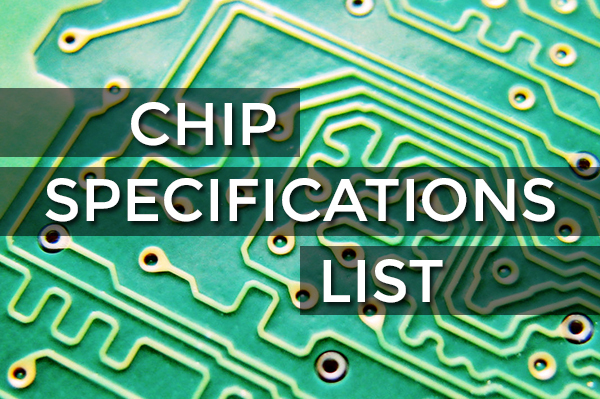 As we learn about more chips and their specifications, we’ll add them to the list. If you have any information that you want to share, feel free to contribute to the list in the comments section at the bottom of this post. When was this list compiled? May be time to make a new one, as the SX330V3SL by YiHi has been out for almost 2 years now, there has been a DNA 75 for a while and Evolv just released their DNA 250 chipset, as well as Yihi on their new chipsets on the SX Mini Q and G class mods that are phenomenal. At the time, those chips weren’t out. This list needs to be updated.